Severe burns can dramatically affect a patient’s quality of life and their ability to perform everyday activities. Often times, severe burns leave patients with a loss of certain physical abilities such as loss of limb(s), disfigurement, limited mobility and scarring. NeuLife offers burn rehabilitation services to help patients ease the painful physical, emotional, social, and functional effects of burns and other severe wounds. In addition to physical limitations, burns can also cause emotional problems such as depression, nightmares and/or flashbacks. 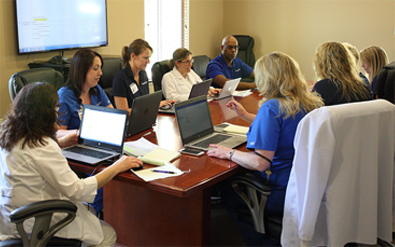 Our team of clinical experts will work to help patients overcome the emotional impact of a burn. Severe burns affect not only the patient, but the entire family. Because so many functions and systems of the body can be affected by severe burns, the need for rehabilitation becomes even more crucial. Our burn rehabilitation program includes highly specialized services provided by an interdisciplinary team of medical professionals. Our program is designed to meet each patient’s specific needs and treatment plans are adapted each week to ensure goals are met. 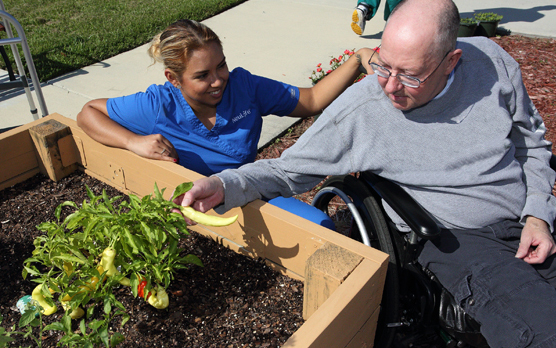 The goals of a burn rehabilitation program include helping the patient return to the highest level of function and independence possible, while improving the overall quality of life. 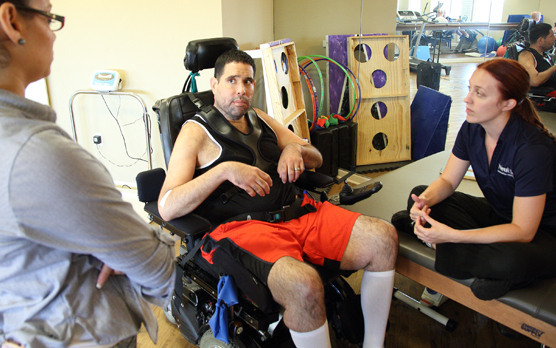 Our team of specialists will work with patients to maximize independence by improving range of motion and functional mobility through therapy, wound care and ambulation techniques and activities of daily living (ADLs) retraining, such as dressing and bathing. Burn rehabilitation helps reduce the amount of skin tightening, improves range of motion and helps the patient return to the best possible independent living. The therapy team will aim to maximize independence by improving range of motion, functional mobility, ambulation, and the patient’s ability to perform daily activities such as dressing and bathing. Our therapy staff works closely with physicians, nursing, and other staff members to ensure patients are receiving comprehensive care during the inpatient stay. Severe burn rehabilitation is often a long process and requires the full awareness and involvement of the patient, family and medical providers. NeuLife develops individualized services based on the extent of the injury. Numerous components may be integrated to achieve the best results.